Next week may see the first map update for Call of Duty: Black Ops 4’s Blackout battle royale mode. Last night, Activision shared a teaser video, suggesting that the first set of changes could arrive on December 11. That video, which you can check out towards the bottom of this article, shows off a section of the Blackout map as if seen via radar. As the radar beam sweeps round, a blip appears on the screen. 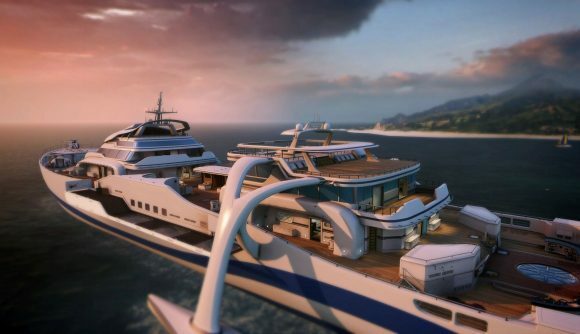 The blip, which is north of Nuketown, is a decent way out to sea, and a separate teaser suggests that that means the return of a popular Black Ops 2 map. Hijacked took place on a stolen super yacht, promoting fast-paced, close quarters combat. The appearance of a section of the map so far out to sea could only really be one of three things, to my mind – a new landmass, an oil-rig (or similar) or a boat. Earlier this week, Brazil and Barcelona footballer Neymar Jr posted on Instagram (via CharlierIntel), promoting his Twitch stream. In plain sight behind him is a poster of the Hijacked yacht. Those teasers corroborate information from Treyarch’s studio design director, David Vonderhaar. Last month, he tweeted to say that Blackout map changes are definitely happening, but that he couldn’t say when. The tweet from the Call of Duty Twitter page last night would appear to have us covered on that, however. In the lower left-hand corner of the video, the words “Operational details: Confidential 12.11.18” can be seen. It’s pretty safe to assume that that’s a date, suggesting that Hijacked (or whatever else the changes might be) will arrive on December 11. There’s a chance, however, that the release will be staggered, with a PS4 update coming a week before the update for PC and Xbox One. If that happens, you’ll have to wait until December 18 to appreciate the change.